Discover why many troop to this Quezon City haunt. In today's digital age, one can find almost anything online and have it delivered at home in less than 24 hours. However, for the true shopping junkie, nothing beats the feeling of getting a bargain after hours of window shopping. The Dapitan Arcade in Quezon City may be the best place to do that. 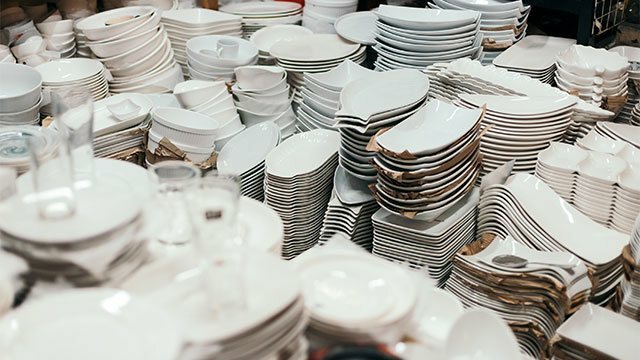 It has been dubbed as the place to be for overruns of export-quality home finds. 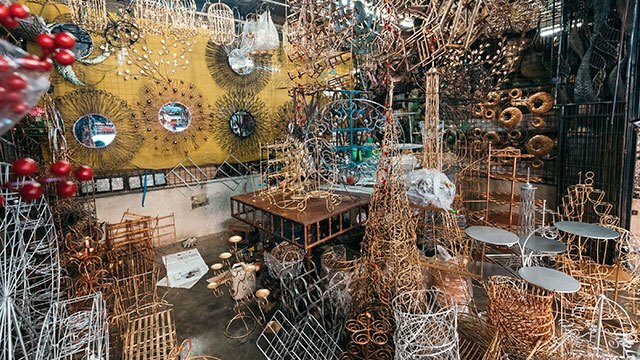 Located at Dapitan corner Kanlaon Street, the tiangge has been the go-to place of those who want to decorate their homes on a budget for decades. Some items still even have tags on them, while others, if given some more TLC, would surely pass as a branded item. Before heading to the famous shopping destination, bear in mind that shopping in Dapitan Arcade does not only mean the tiangge itself. From the corner of Apo Street along Dapitan all the way to Mayon Street, the whole area is teeming with stalls selling everything literally under the sun, from Christmas decor to acacia baskets. Some stalls are open as early as 8 in the morning and close at 9 in the evening at the latest. 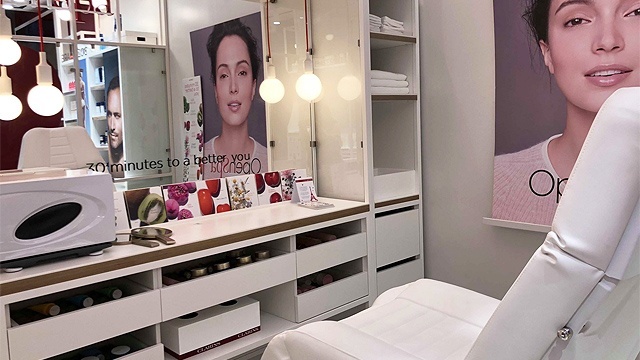 If you also want the best deals before the Christmas rush, head there ASAP, as most salesladies said prices tend to surge once Christmas looms closer. From faux leather watch cases to vintage-looking storage boxes, this stall has everything you need to keep your jewelry and accessories tidy. 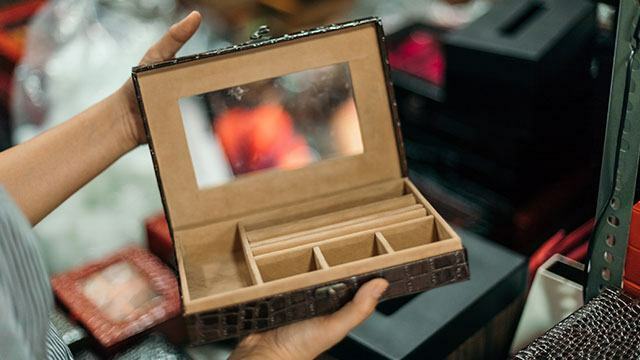 Faux alligator leather jewelry cases can retail from as low as P250 to as much as P600, depending on the size. Like any tiangge, buy more items and the saleslady will be glad to give you a discount. 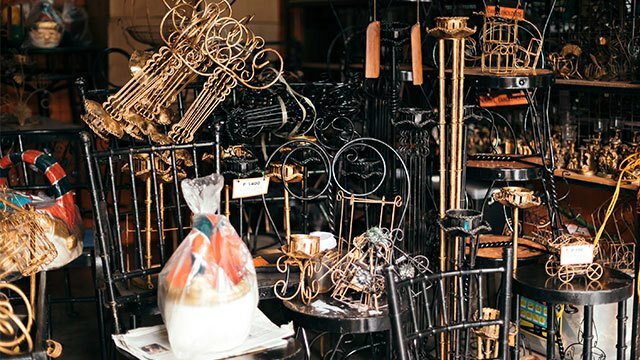 It would be hard not to leave this stall empty-handed especially when you can snag quality decorative items and unique gift finds in the shop for less than P100. Right outside the stall, industrial tin plates and wooden bottle openers are aplenty, all of which are embedded with witty messages. 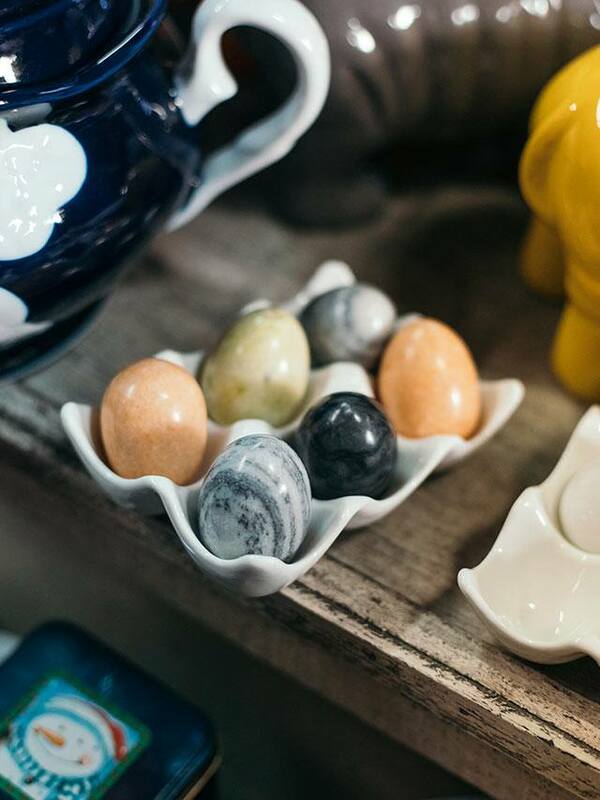 Once you step inside, ceramic coin banks that come in all shapes and sizes—vintage cars, cameras and animal figures—will welcome you with prices ranging from P350 to P500. 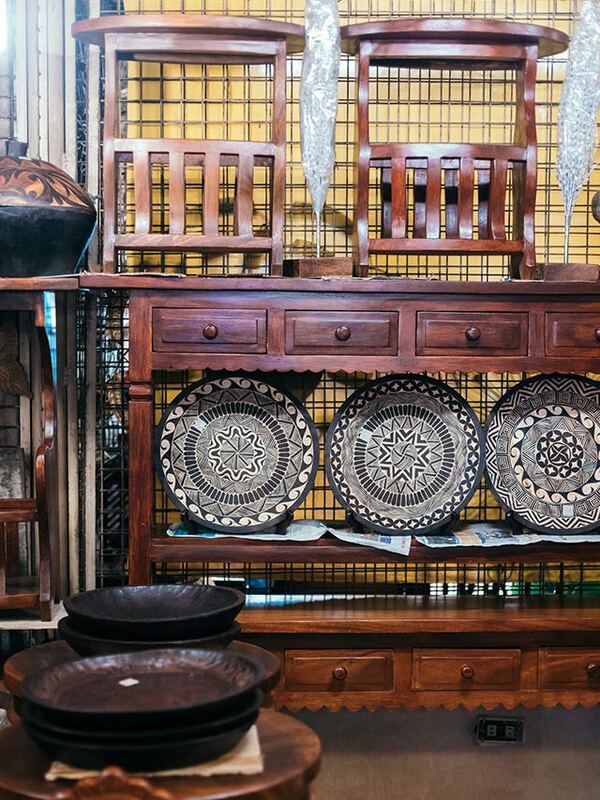 Walk a little further and you’ll find yourself in one of the few stalls in Dapitan Arcade that sells wood furniture. The pedestal tables, depending on its height, retail for P1,200 to P1,500 while console tables, depending on the length, range from P5,000 to P7,500. These pieces of furniture are all made from Mahogany wood and came all the way from Palawan. But if you’re a member of some furniture groups on Facebook, the designs may look familiar as these are the ones resold for as much as 30 percent more than their original prices. 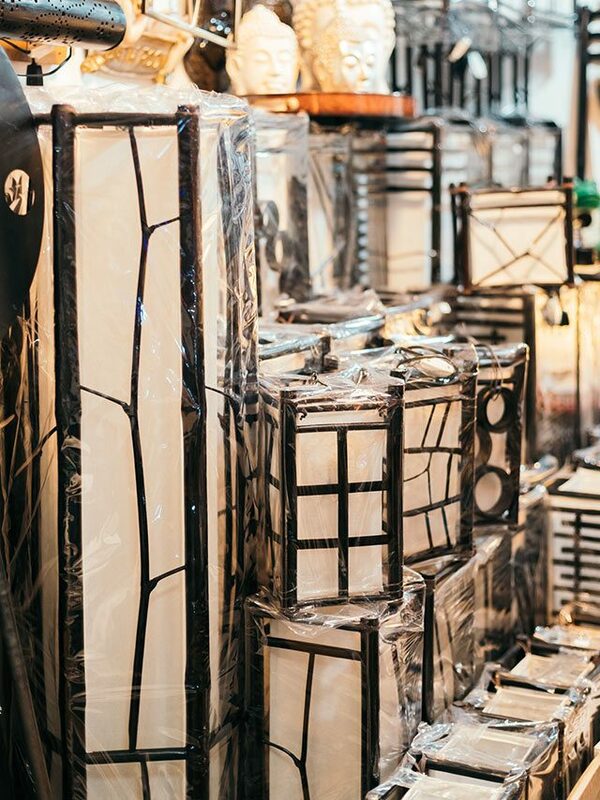 Whether you have a beach house or you simply want lamps and lanterns exuding luxury resort vibe, then this stall cannot be missed. It offers lamps in all shapes and sizes—some even look similar to the Japanese Shoji lamp. Some table lamps retail for as low as P180, while ceiling lights start at P1,600. 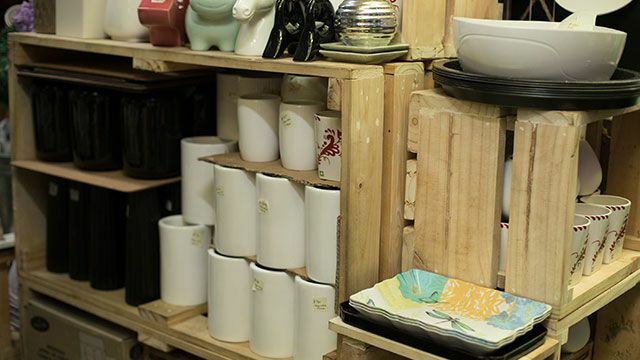 Tableware for cheap may be found in this stall with plates sold only at P40 each. 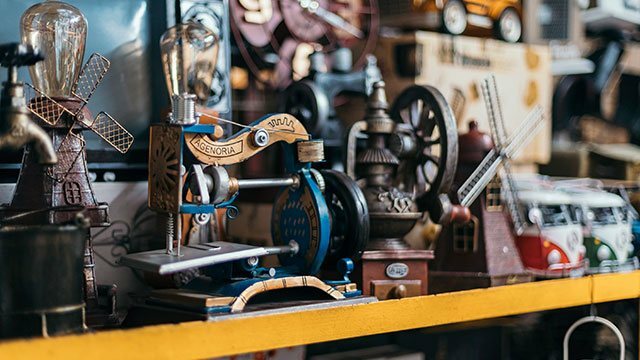 The stall is brimming with must-haves so if you’re looking for anything in particular, best to ask the saleslady if they have it in stock because chances are, you’ll be overwhelmed with all their offerings. In Stall 76, the capiz lamps come in different shapes and patterns. 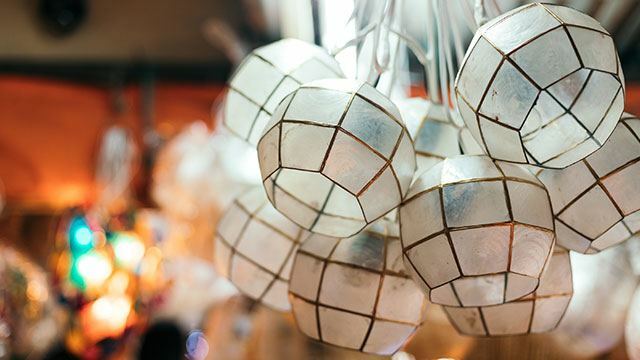 The Christmas-themed light fixtures are worth checking out—it retails for P1,600. Who says metal furniture are only for the outdoors? This stall will definitely make you want to have a batibot chair as an accent in your dining area, only sold for P1,200 each. Ever fancied those geometric metal lanterns you find in hipster coffee shops? These stalls have them in different sizes and colors—from silver to rose gold. The best part? It won’t hurt your wallet to bring them home with prices that start at P350. Still, if that isn’t your fancy, the stall also has one of the most unique wall décor selections in Dapitan Arcade with patterns ranging from intricate flowing leaves to statement circulars. 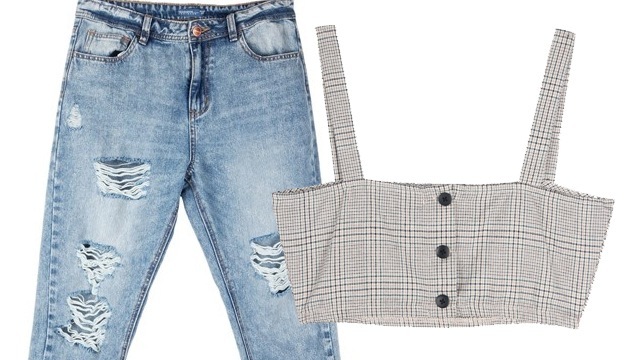 These pieces only retail for less than P1,000. This stall is a hodgepodge of different home knickknacks, but one of the best stuff it offers are its small collection of oriental home décor. They have decorative marble eggs, Japanese-inspired ceramic tea cups, and vases with Japanese vignette designs. It's the only stall in the area selling wood crates and small, decorative pots. The crates come in different sizes, from the ones good for small giveaways to those that may may already be repurposed as center tables. According to their saleslady, the items can be also bought in bulk at bargain prices. Some of the best-priced pieces are actually right outside Dapitan Arcade. 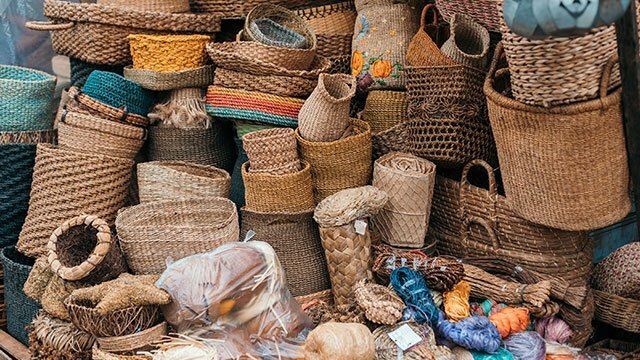 If you’re looking for acacia baskets and wooden kitchen crafts, the stalls along Kanlaon Street near the entrance of the wet market offer the best deals. 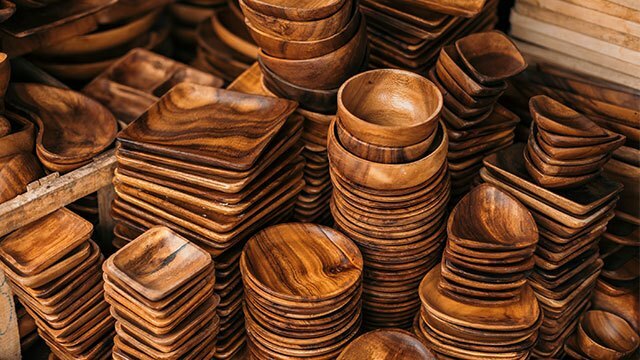 Here, you’ll find small wooden plates and bowls that retail for only P20 each, and woven abaca pot holders for P50. Walk a little further to Dapitan Street and you’ll find a two-storey home just right across the police station that has been turned into a warehouse store. Not to be missed at its garage area are some busts inspired by Roman and Greek sculpture that are made out of glass. These pieces aren’t always in stock, so consider yourself lucky if you happen to buy some. 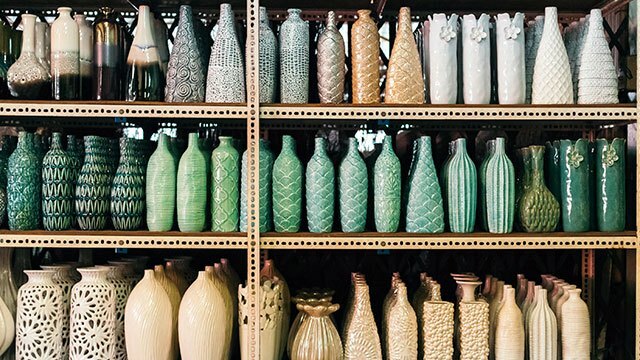 Still, if those aren’t available, once you step right inside the house is the biggest collection of vases in the area that are sold for just less than P500 each.